Just two months after its maiden flight on the 3rd of May, Diamond Aircraft's new variant of the Diamond Aircraft DART series, the DART-550 made its public debut at Farnborough Airshow 2018. The aircraft is powered by a General Electric GE H75-100 turboprop engine with 550hp featuring electronic engine and propeller control (EEPC) system, a five blade, full feather and full reverse MT propeller and features Martin Baker MK16 ejection seats and Garmin G3000 integrated avionics systems. 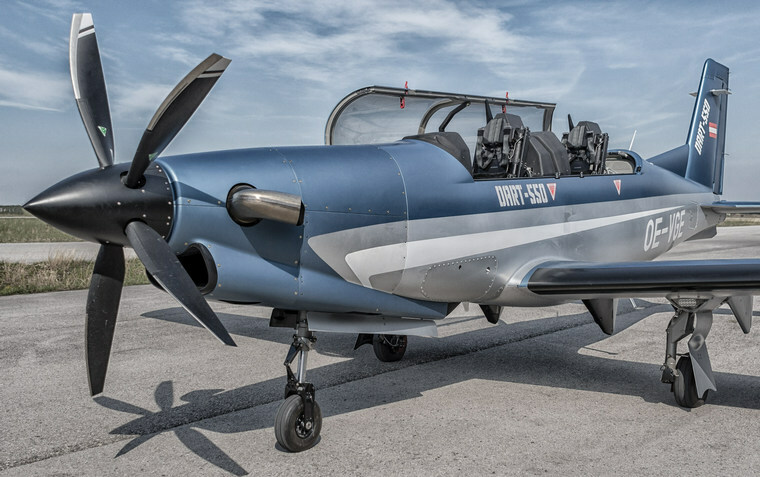 It is the next massive push into being the only aircraft manufacturer offering the full range for basic flight training, reaching its peek with the DART-550 aerobatic trainer. The modular G3000 integrated flight deck boasts a large and vibrant, high-resolution flight display in the front and rear pilot positions. Dual Garmin touchscreen controllers (GTCs) serve as the pilot interface to the flight display and contains infrared technology so pilots can use gloves in the cockpit. The G3000 incorporates worldwide communication, navigation, surveillance and air traffic management (CNS/ATM) capabilities, as well as Terrain Awareness Warning System (TAWS), global Automatic Dependent Surveillance-Broadcast (ADS-B) traffic and weather and a video enablement. Because Garmin avionics, data overlays and more are seamlessly integrated, pilots are provided a superior interface within the cockpit. The MK AT16LG ejection seat is a two catapult, lightweight seat operated by cartridges with the aid of a rocket motor. The seat gives safe escape within the envelope from zero height at zero velocity in a near level attitude and the aircraft's limits of maximum velocity between zero and 25,000 ft. A gas operated Interseat Sequencing System (ISS) is available to sequence the ejection. Expected maximum speed is 265 KTAS with a MTOM of 2,400 kg (5,291 lbs) and an empty mass (fully equipped) of 1,600 kg (3,527 lbs). Maximum endurance at loiter speed of the DART-550 will be 8 hours plus reserve at MTOM. 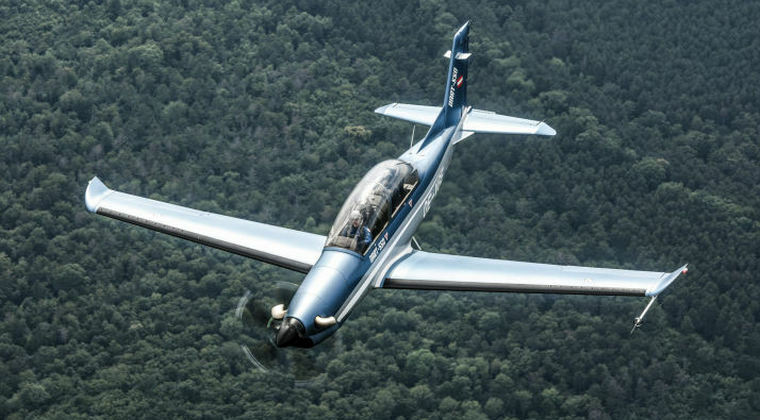 The aerobatic turboprop trainer series will be available in different variants differing in engine power ratings, seat configuration and/or avionics options for diverse customer needs. The DART aerobatic turboprop trainer series was first announced with the DART-450 version at Farnborough Airshow 2014. The DART-450 took off for its first flight on May 17, 2016 and was first introduced to the public at Farnborough Airshow 2016.